On October 26-27, the 2-day training was held for women-representatives of Lviv region. During the first day of the training, the participants learned about the components of entrepreneurial activity and gender characteristics of doing business, learned the basics of financial planning and budgeting, and were able to develop and present their own business plans. Participants were able to get useful contacts for future cooperation. 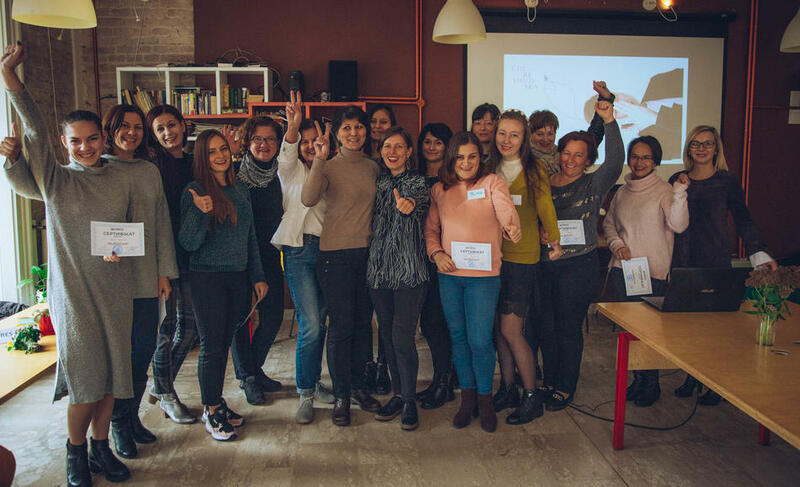 On the second day of the training, the future business ladies met with Eva Chereshnevsky, a Lviv designer, author of the Ukrainian clothing brand "Chereshnivska", who spoke about her practical experience, stages of development and business creation. In addition, Eva provided advice on how to avoid problems when opening her own business, and also responded to all of the participants' questions. These were two productive and intense days!